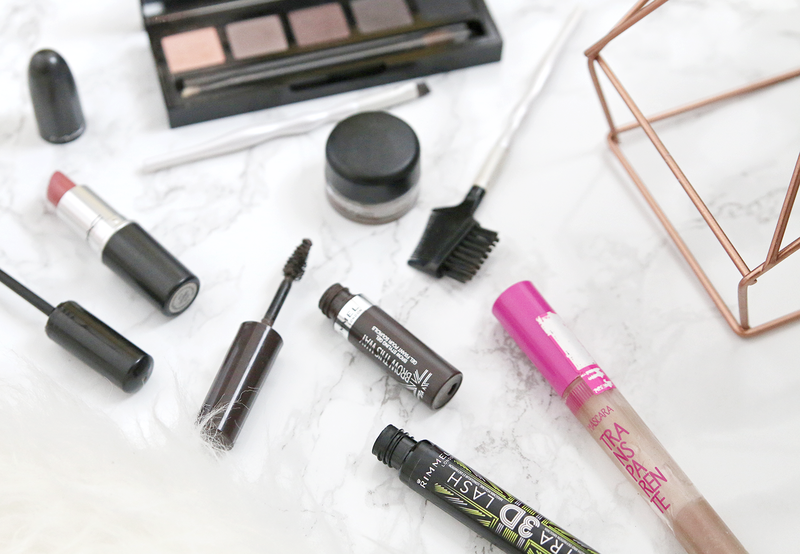 I love trying out new beauty products, whether it's the new lipstick by Maybelline, or that amazing mascara from Rimmel everyone is raving about. 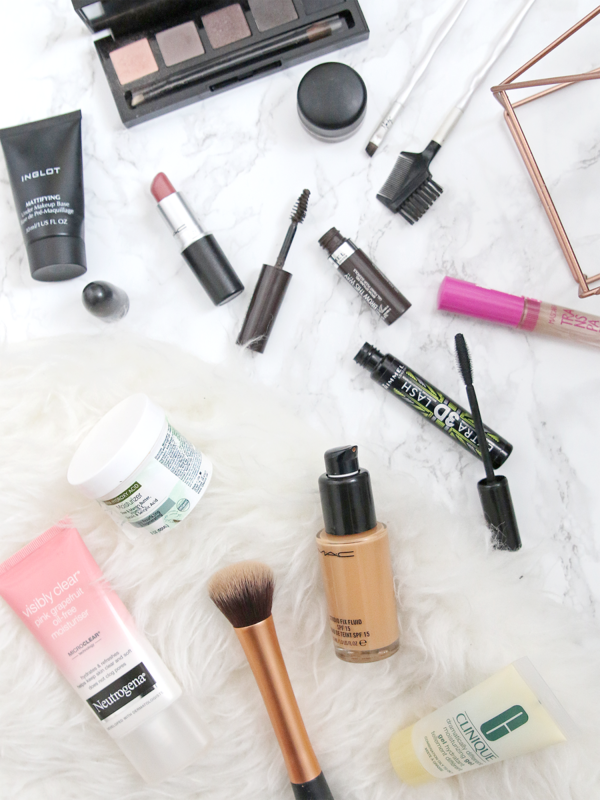 I may have lots of makeup but in the end there are only a handful of products which I use daily. These are pretty much my staples, although I would occasionally switch up the products. Either way, the overall look is very similar. After cleansing and toning, I apply a thin layer of my current acne treatment and then moisturizer. For moisturizers, I usually vary between the Clinique Dramatically Different Moisturizing Gel for oily skin, the Neutrogena Pink Grapefruit Oil-free Acne Moisturizer or the IQ Natural AHA Moisturizer. To control my oily skin, I use the Inglot Mattifying Under Makeup Base. After this, it's time to apply foundation. My foundation is one product I don't usually switch because of how difficult it is to match the right shade with my yellow undertone. So I have been st the MAC Studio Fix Fluid SPF 15 in shade NC42, and usually apply a base layer before applying some more on areas with dark acne scars. If needed, I will use some concealer for under eye circles. Next, I move on to my eyebrows and I always use the MAC Fluidline Brow Gelcreme and the Rimmel Brow This Way Brow Styling Gel. I usually go for a full brow. You can check out all the details in my post about my Current Eyebrow Routine. Once I'm done with my brows, I apply one coat of transparent mascara to prime my lashes, and then two coats of mascara. For mascara, I've been loving the Rimmel Extra 3D Lash Mascara because it gives me both volume and length. If I've got a bit more time, I apply eyeshadow. My daytime colours are dark brown and gold for a neutral look. My lip choice usually depends on my mood and time availability. But what I never skip is a lip balm or butter. I've got quite a few of these, so I usually go for whichever is closest in the drawer. If I'm running low on time, I do my lips in the car. 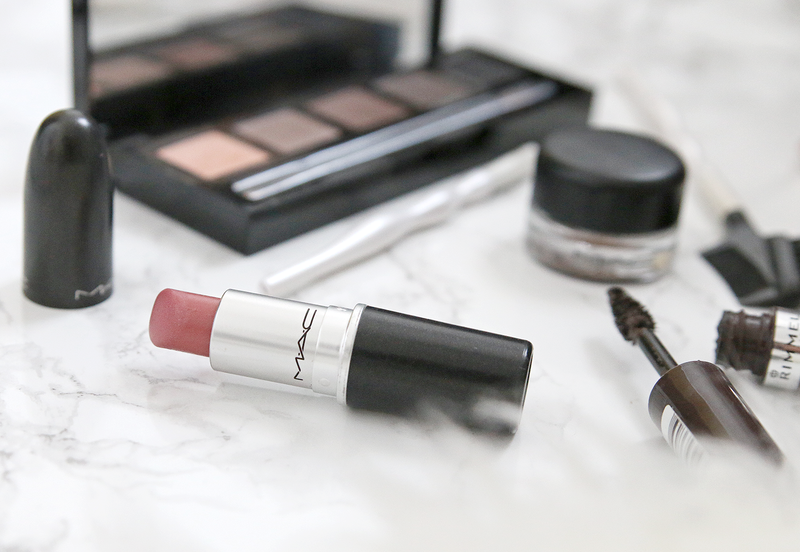 My current go to lipstick is the MAC Satin finish lipstick in Brave or Cremeshene lipstick in Creme In your Coffee. Those are pretty much all the products I use at the moment. I used to set my makeup with the Urban Decay De-Slick Setting Spray, but I've recently run out and I'm currently looking for other setting sprays for oily skin, so If you have any recommendations, please let me know. What products do you reach for on a daily?